Any unsightly veins such as ones that are visible in the temple area or under the eye, on the chest extending onto the breast or even those visible on the backs of hands can be treated using sclerotherapy. 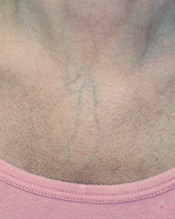 Tiny veins on the cheeks, nose, chin, abdomen and chest are best treated using a laser. 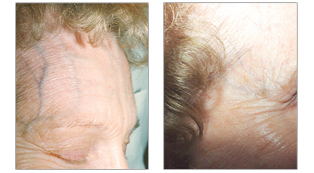 The Vein Center & CosMed has all appropriate lasers used to treat these unsightly problems. Some of these vexing conditions can only be treated at The Vein Center & CosMed. Their treatment requires an exceedingly high degree of expertise and experience. Because of the vast amount of sclerotherapy performed by The Vein Center & CosMed over the past 20 years, we see these conditions daily, and we have become the only physician's office that can successfully eliminate these common cosmetic conditions.